I adored my mom. She was blind in one eye–was the soprano soloist in our church and community choir–a terrific mom and cheerleader–and died of a horrible disease I had never heard of. It was the same disease that killed Dudley Moore, the British actor. Mom got progressively more unstable physically until I convinced her to see a neurologist and get it checked out. After many back-and-forth discussions she finally relented and went in. Her diagnosis? “Progressive Supranuclear Palsy.” It carried a seven-year life expectancy . . . and mom had already used up some of that runway. We had no insurance to help pick up the long-term care expenses my Mom’s disease began to create. I lived in another state – my sister was unable to help – so the responsibility fell squarely on my shoulders. But . . . what could I do? Mom declined to leave her community to come live with my wife and I . . . but she could no longer live on the family property. How would I pay for the care she needed – either for in-home care or at a skilled-care facility? Fortunately, we were able to cobble things together financially. We also found a surprisingly affordable facility that was bright, clean and where they truly cared for my mom. Still, it was thousands of dollars out-of-pocket, and the financial cost could have skyrocketed if my mother’s care had extended for many more years. Here I was–a trained financial professional with many years of practice–and yet, I had never faced this with a client before . . . and was unprepared for this event in my own family. True, this was over 19 years ago and today there is much greater knowledge in our profession about how to address this situation. That said, so many of the clients we work with–very sophisticated clients at many different levels–are completely or largely unprepared for this situation. Or, they are planning to self-insure the costs, not realizing they are looking at potentially $10,000/month in costs–or sometimes more. At that rate, an estate can be consumed very quickly. From this experience with my mom, I came to find out that our family’s story is not uncommon . . . especially as life expectancies continue to be extended. There is a relatively simple solution available today, and it comes in several different “packages.” Having a plan and peace of mind in spite of a long-term care event is possible . . . “Imagine That™”! I wondered that myself when my mom got sick. I was surprised to find the answer was, “No.” Health coverage only pays when the person is convalescing and getting better, not when they are in custodial care. Health insurance stops paying immediately as soon as doctors determine the patient is no longer getting better. Bam! Will that come to the rescue? No! Medicare only covers short nursing stays or limited amounts of home health care when you need skilled nursing or rehabilitation. Medicare does not pay for custodial care, which includes supervision and assistance with day-to-day activities. You can get help from Medicaid but will have to nearly exhaust all your savings before you become eligible. Not a good strategy! The alternative is to purchase long-term care insurance. Benefits are triggered when a licensed healthcare practitioner (usually a doctor) certifies you are unable to perform at least two of the six “activities of daily living” for a period expected to last at least 90 days OR you have cognitive impairment requiring substantial supervision. The expenses associated with long-term care go beyond medical and nursing care. It includes all the assistance you need if you ever have an illness or disability that leaves you unable to care for yourself for an extended period of time. Long-term care insurance will pay long-term services and support, including personal and custodial care, in settings such as your home, a community organization, or other facility. Second, all or a portion of the premiums may be deductible if the premiums (along with other qualified health expenses) exceed a “cap” of 7.5% of income in 2018 and 10% in 2019. If you are self-employed or have an LLC or S-Corporation, however, you can deduct the age-based limits without the threshold cap of 7.5% or 10% in 2019. A C Corporation can deduct 100% of the premium without a cap to deal with. 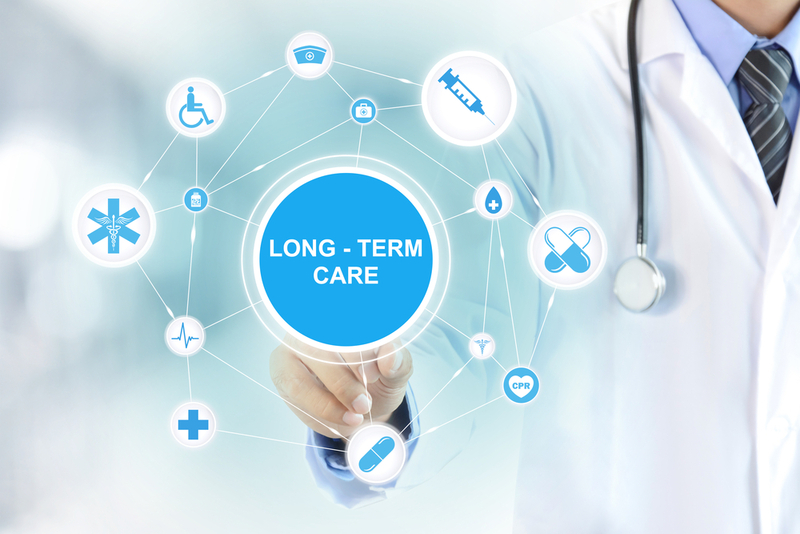 Contact us to learn more about the important benefits of long-term care insurance. We can help you avoid the financial and emotional stress that a long-term care event places on a family. Let’s put a sturdy “financial fence” at the top of the cliff, rather than hoping there is an “ambulance in the valley” below. By transferring a small portion from your estate now, you can ensure that the rest of your estate remains intact to enjoy in your retirement, while potentially also leaving funds for your heirs. Self-insuring this risk is financially dangerous to say the least–given the high probability of a long-term care event occurring. I so wish we had purchased something for my mother to help offset the steep cost of care we ultimately faced. Knowing that money is provided and purchased at a discount, with care in a supportive and nurturing environment is what I want for my wife and me. I am guessing that is what you would want for yourself as well. The good news is today, it can be done . . .
Pingback: The Least Understood Aspect of the New Tax Act - Wealth Legacy Group®, Inc.
Pingback: One of the Best Ways to Reduce Taxes, Receive Income and Do Good - Wealth Legacy Group®, Inc.